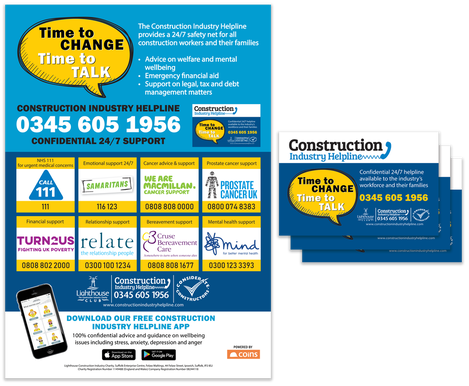 The Construction Industry Helpline is managed and funded by the Lighthouse Construction Industry Charity. The charity has been delivering charitable welfare and support to the construction community since 1956. The Lighthouse Construction Industry Charity is funded by the industry, for the industry. We receive no public funding and rely on the generosity and support of the industry and our volunteer network of regional clubs and fundraisers to allow us to deliver our charitable services. If you meet the above criteria, apply now below or call our helpline 0345 605 1956.